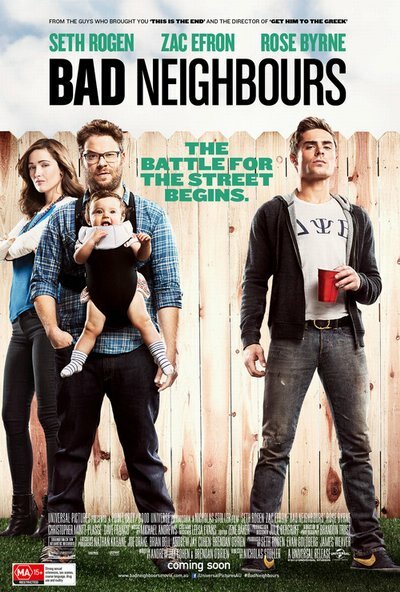 Story: Seth Rogen, Zac Efron and Rose Byrne lead the cast of Bad Neighbours (original US title was "Neighbors"), a comedy about a young couple who are forced to live next to a fraternity house after the birth of their newborn baby. When they first move in, they try to be friends. But when the noise of the parties causes some friction, a feud is certain to escalate to all-out war.